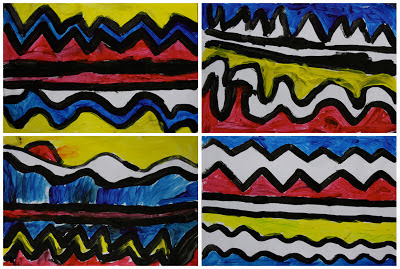 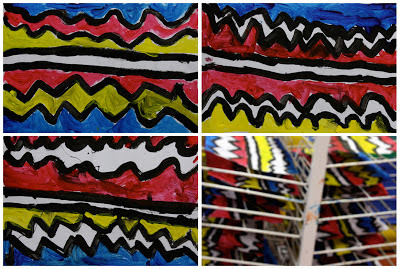 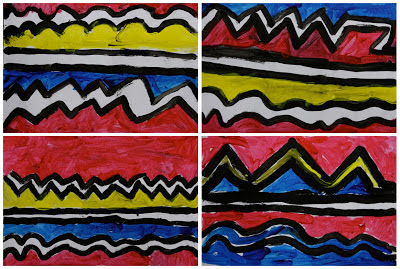 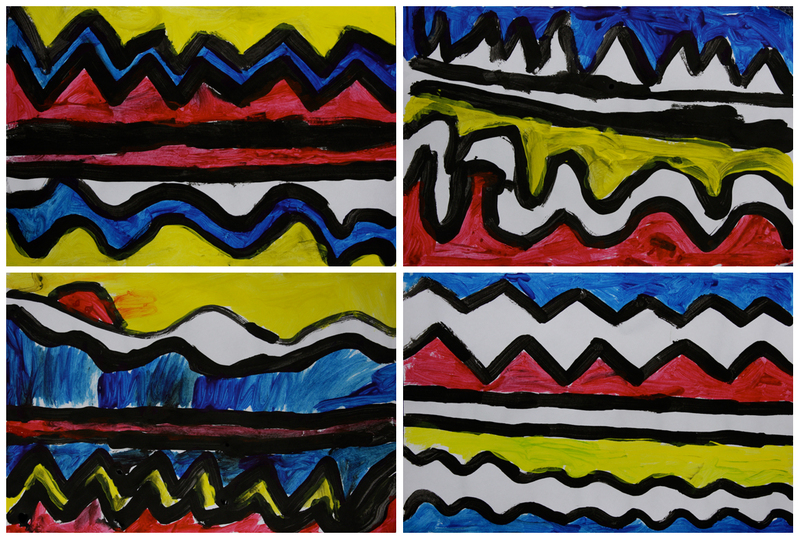 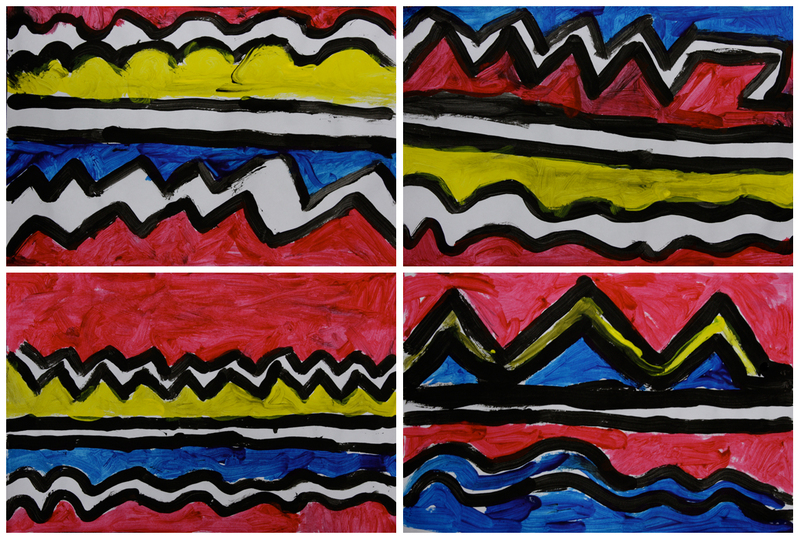 Three lines and three colours — straight, curvy and zig-zag with the primary colours plus black and white. 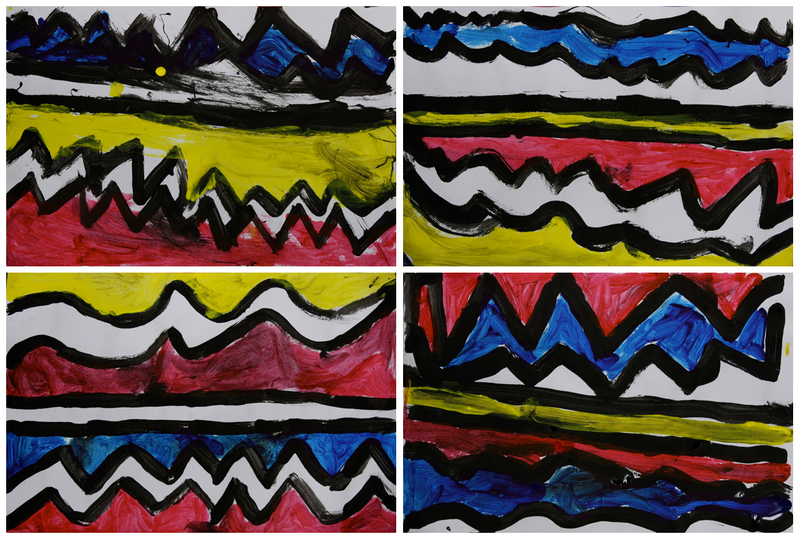 The lines were painted in black earlier in the day and the colours blocked in later on, unfortunately the black wasn't 100% dry so it muddied the colours in parts. I'd never been with this class previously, so it was a bit of an unknown bringing out the paint... but I think they did a great job!